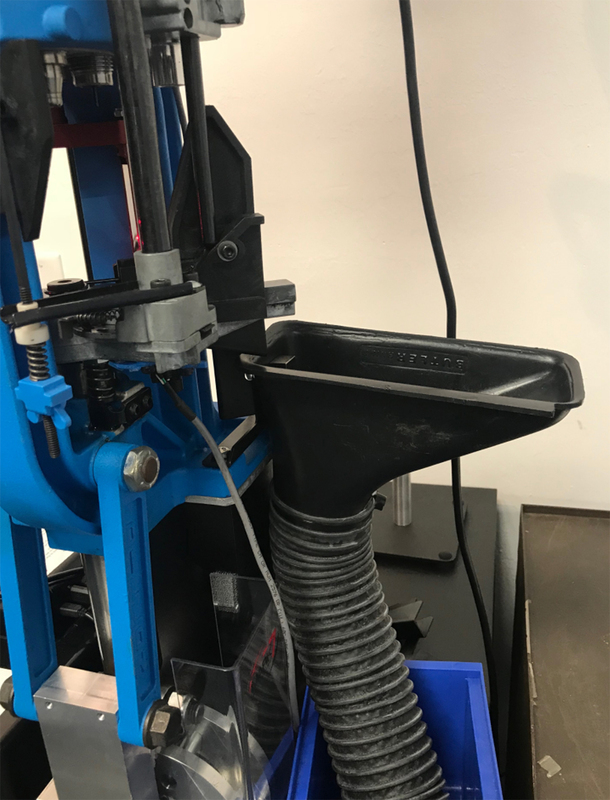 This offloading system for your 1050 OR 650 set-up automatically captures your pistol or rifle brass or loaded rounds and funnels them gently into you own receptacle. Put a 5 gallon bucket at the end of virtually any container to capture your output. The included hose slows down your rounds as they descend to your receptacle. Sized appropriately for any size pistol or rifle brass or loads. 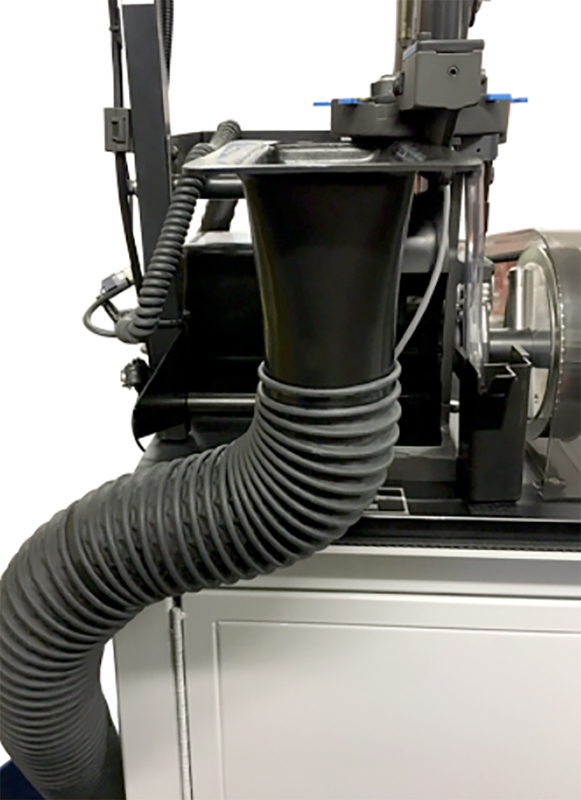 Funnel is made of durable plastic and wipes clean. 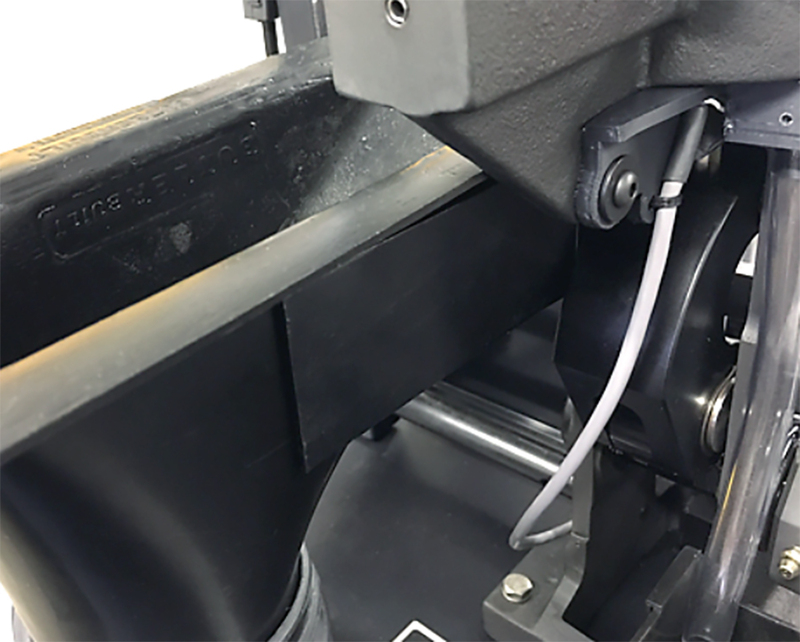 Attached to the standard bracket on your machine through a strong magnet. Available for only the 1050 series of machines.